The Young Legislators Program taught me about the process for passing a bill to become a law. I learned about all the work that Assemblymember Cristina Garcia does to help our communities. The trip that I enjoyed the most was visiting the Coca-Cola factory in Downey because I got to see the chemistry behind the drink. During this visit, I even got the opportunity to try Coke that had only been made five minutes ago. My goals for next year are to prepare for college by taking SAT prep classes, completing college applications, continuing to get good grades and passing my AP exams. I am interested in attending Cornell University and majoring in Political Science. I would like to thank my parents for supporting me in everything that I do and my sister for helping me throughout my high school career. I have learned a lot of the California legislative process as well as gotten to learn a lot of the different industries that are present in SoCal that directly affect our district. I probably enjoyed the Metro trip the most as it opened my eyes to the possible adventures I can have on the public transport system. I am looking forward to starting college at UCLA in the fall. I am currently enrolled as an American Literature and Culture Major. I intend to earn a law degree and become a prosecutor for the county. I would like to thank my parents and my supportive friends and teachers for all my successes this year. Through the Young Legislatures Program I learned that legislation plays a part in everything: from the shows we watch, to our means of transportation, and to the items we recycle. I enjoyed our trip to Metro the most because we got to explore different stations, go to the Metro headquarters, and be encouraged by the Metro employees. I will be a senior at Downey High School this coming year and then I plan on attending a University and study Communications. I'd like to thank Assemblymember Cristina Garcia for offering this phenomenal program in which I was exposed to legislation and at the same time it gave me the opportunity to explore potential careers and college options. This program has provided me with a more in depth understanding of the government's relations with different sectors, such as businesses and unions. I am very grateful to the Young Legislators Program for all it has taught me and for the opportunity to be Speaker of the Assembly. I enjoyed the trip to IBEW 11 the most because I learned so much about unions and the inner workings of the electrical industry. For next year, I strive to maintain my academic record and apply to both public and private universities. I plan to work hard in all the leadership positions and extracurricular activities I participate in, including varsity tennis and volunteer work. I would like to thank my parents for all their support and hard work. Over the past couple of months in the Young Legislators Program I've learned so many incredible things. Mostly I've learned how much government affects all types of industries. After our meetings, I've learned how much each and every one of them is both influenced by and influences government. I've learned the role of the state assembly in shaping public policy. Of all of our trips, I enjoyed the trip to Metro headquarters the most. Going forward I am attending Cal State Long Beach and doing a double major in Political Science and International Studies. I'd like to pursue a career in government. I'd like to thank my parents, friends, and family as well as Assemblymember Garcia for my success this year. During the Young Legislators Program, not only did I learn more about the legislative process and about state and local government, but I also gained plenty of useful life skills and experiences. The trip I enjoyed the most was our visit to Coca Cola. We got a tour of the factory and learned more about the bottling process. My goal for next year is to continue my studies and keep working hard. I plan to attend the University of Texas at San Antonio and study architectural engineering and eventually get a job in the corresponding field. I'd like to thank Edgar Estrada and all of the wonderful places that hosted us this year for a fantastic time and unforgettable experience. During my time in the Young Legislators Program, I have learned that local government affects are lives on a daily a basis. My favorite trip was the one to the Coca Cola factory in Downey because we got to see how a multimillion dollar company operates and interacts with our Assemblymember — all in our backyard. I am looking forward to my senior year and all of the new beginnings it will bring. I would like to thank Cristina Garcia and her office for creating such a wonderful program that has taught me so much. The Young Legislators Program has been great at exposing students of the 58th District to the foundations of how a community works and the process of making beneficial legislative changes. I have experienced the projected mission of the Young Legislators Program which is to enrich students and encourage them to be leaders of their community. The visit to SA Recycling gave me a strong message that is not found anywhere else; the care they give to their community and to the people that live in the surrounding areas is impeccable. I hope to pursue a career as a Corporate Attorney but after this program, I also look forward into being involved in my community. The Young Legislators Program taught me that everything is connected — from the community to the county to the city and then to the state. The trip I enjoyed the most was our trip to Metro Headquarters. The reason I enjoyed was because it showed us that there are many things that would fall apart if there were no transportation. My goals for next year are to be more active both in my education and community. I am interested in taking more college courses to help me get a head start in college. I would like to thank my parents for my achievements this year. It took my parents time and patience to get me where I am now. All the driving back and forth followed by all the waiting is what helped me reach my goals. I am so thankful to have this opportunity to be a Young Legislator. Through this program, I have been so fortunate to have met some of the brightest and most thought-provoking individuals. I realized that even though I may be young, the actions I take will have a positive impact on our future. Being able to learn about business operations and having the chance to visit a production site has made Coca-Cola my favorite trip. Even though I plan to major in Education Policy, gaining insight into the multifaceted realm of businesses is something I will always remember. I have a passion and drive for education and my dream is to one day become a board member on California's Board of Education. Although this year has been filled with stress and non-stop testing, I have been gifted with amazing opportunities. With this school year's journey coming to an end, I want to extend the upmost gratitude to my parents for their unwavering support. I am a recent graduate of Warren High School in Downey, where I've lived most of my life. I have also been a member of the YMCA's Youth and Government organization. I am going to attend UCSD as a member of the class of '21 majoring in Public Health. I have learned a lot from the Young Legislators Program, including how to communicate, interact with new people and build good character. I learned how businesses work and how owners keep their business running and keep the community happy. I will be attending Schurr High School next year as a senior. I will be in the following clubs: USB, RED CROSS AND B.A.S.I.C. (Brothers and Sisters in Christ). In Red Cross – our goal is to do fundraiser for the I would like to thank Edgar and Cristina Garcia for an amazing year. They are the ones who made this past year enjoyable and possible to attend every trip, giving me the opportunity to learn and get a better idea as to what I want to do with my life. Over the course of the Young Legislators Program, I have learned how the state legislature passes bills that affect its constituents. Thanks to all the activities we've engaged in, I am sure it has helped others, including myself, grow and get a better understanding of how government works. I learned something new from every trip, but my favorite was visiting the UCLA campus. Having been captured by what that school has to offer and really seeing myself as a student there, my goal is to pursue a degree in pre-law at UCLA. I would like to thank my mom for being supportive all throughout my endeavors. And special thanks to the YLP for extending my horizon of possibilities and opportunities. Being part of the Young Legislators Program has taught me that women have a huge influence in our local and national government. Our trip to UCLA was definitely my favorite because it inspired me to think big in terms of college and my future. I look forward to graduating high school next year and attending a college that makes me excited to continue my education every day. I hope to major in engineering and become a computer engineer. I would like to thank my parents for always supporting my endeavors and reminding me that no matter how hard something may seem now, if it is important to you, it will always be worth the effort. The Young Legislators Program taught me many things, but the lesson that I thought was the most important to myself, was what I learned in terms of how the government acts as a mediator between businesses and the citizens of the community. It was great to learn about how government officials have to work hand in hand with many companies and businesses in order to serve the community in the best way possible. With that in mind, the trip that I enjoyed the most was to the Coca-Cola factory. My goals for next year include doing my best in school in order to get into the university that would best suit me. The end career goal I have in mind would be to get involved in politics and media in some form. I would thank my family for my achievements and success this year. Along with my friends, they supported me in all my endeavors and I could not be more thankful for it. After my time in the Young Legislators Program, I truly grasped the role of government in our society. I understood how it plays a role in every facet of our lives including: business, transportation, the media, education, unions, and the environment. Although all of the trips were incredibly informative, our trip to IBEW 11 trip was my favorite because of the sheer amount of information and facts they gave. I learned a lot about how the government works with unions and the work force. My goals for next year are to continue to succeed in my academics and to be involved in programs such as YL, and I hope to further continue my education at Georgetown University. I would like to thank my teachers this year who have provided me with every opportunity to achieve all of my goals. During my time in the Young Legislators Program, I learned how involved state government truly is in many aspects of our lives, including public transportation, recycling, education, entertainment, etc. My favorite trip by far was the visit to IBEW. It was amazing to witness the strong sense of community shared between all of the members, and to learn of the major impact IBEW has on its employees and the district at large. In the fall I will be attending Wellesley College in Massachusetts. I will be pursuing a double major in political science and economics. My goal is to be an attorney, and hopefully a politician one day! I would like to thank my mother, who has provided constant support to all of my endeavors. My mother has always inspired me to be a hard worker and has taught me how to hurdle over any barriers or obstacles standing in my way. I would not be the person I am today without her, and I love her with all my heart. Thanks Mom! While being in the Young Legislators Program, I have learned about the environment, media, community, and legislative branch as a whole. I enjoyed the Hollywood sports trip the most. I will be attending Whittier College next year to play soccer and major in engineering. I would like to thank all of my family, boyfriend, and close friends. The Young Legislators Program has truly opened my eyes. I discovered opportunities on how I can get more involved in my community. I learned about corporations, such as Coca-Cola and how they services beyond just beverages. This program also influenced me in choosing the right college for me. Throughout this journey, I mostly enjoyed our trip to the SA Recycling. I got the chance to meet hard workers who put their time to help the environment. As for me, I will be attending Vanguard University and majoring in Accounting. I owe a big thank you to my parents for everything they had done to get me where I am today. I have learned the many different opportunities available for those who go into governmental work. I also learned how working in government is learning to constantly compromise. My favorite field trip was to the metro because I had no idea how much art and thought went into the intricate transportation system hear in LA. Next year I plan to go to UC Davis and major in political science. I hope to one day help people and make positive impacts in people's lives through my work in the government. I would like thank Cristina Garcia for this amazing and unique opportunity. I would also like to thank my parents and sister Emma for helping through senior year and also encouraging me to be my best. I have learned that the political system is a lot more complicated than I anticipated; it involves more than just people from the congress. My favorite trip was the one to fox studios as it let me explore the whole campus. My goals for next year are to have the highest grades possible, get another job, and buy my first car. I'm interested in attending any college or university as long as it fits my interests in psychology and/or the medical field. I would like to thank myself, my friends, and my family. Through the Young Legislators Program, I have learned many things about state government, the bill process, and the process in which these things occur. However, I have also learned more about my community, and the people that are a part of it. This knowledge will help me in my future endeavors and to help better my community. In addition, this program has thoroughly prepared me with the college application process, which will help me get into an amazing school to start me on my career path as a teacher. I would like to thank my parents for always supporting me and helping me commute to these events, and of course Edgar and Christina, for putting together this amazing program which I was able to be a part of. I have learned about the value of respect and well enough on how knowing people and negotiating with people can help you in the long run. Best of all, I have a clearer understanding on what is needed to be prominent when attempting to make a change in state government. The trip I personally enjoyed the most would be the SA Recycling trip. Seeing in how the people that work together and their background gives you a different perspective on how hard they worked into getting to where they are, as well as watching a car being crushed by a crane. My goal for the next couple of years is to attend East Los Angeles College and complete my general education classes and work towards majoring in social work and/or theatre at UCLA. I am interested in either becoming a social worker or becoming a theatre professor and/or an actor. I would like to thank Amber Torres, Vanessa Perez, Christina Garcia, and especially my mother for encouraging me this year to keep going forward in life into becoming a successful young adult. This program taught me about the legislative process that largely defines our California. I was exposed to many successful institutions and learned that each had their own unique story that broadened my own personal options for after high school. I enjoyed the Metro trip the most, partially because of how much I learned of the political side of any large business and partially because of the endless train rides. Next year I want to find a hobby I'm comfortable investing time into and enjoy my last year of high school. I'm interesting in attending USC because of its interdisciplinary studies programs and if I get in, it would be in a school where I can make it into a career in the finance field. I'd like to thank Dr. Tehrani from my school for teaching me so much about colleges and how to get there. I'm especially grateful because it is information many others knew but, because I moved into the United States my sophomore year, I did not. What I learn from the program is that the legislative process can be everywhere since all the problems are in the industry and within our country. The trip I enjoy the most was all of them because I learn a lot I never got a chance to experience how industry works. I now understand why the country had a bit of a struggle lately. I'm very glad I got to experience this program this is once in a life time and it is worth of all my time. My goal for next year is helping people and achieving my main goal on being a biotechnology researcher and development. I'm going to Long Beach City College so I can save up and go to the University of Wyoming. I want to thank my teachers and staff at Somerset. I couldn't make this far for their help my key club advisor Ms.Stits she has done a lot for me and help me apply for this program. While being a part of The Young Legislators Program, I definitely learned what leadership truly means — whether it is standing up and speaking about what I believe in or listening intently to what the people have to say around me. My favorite trip was Fox Studios because I was able to learn how legislation and entertainment influence one another. My goals for next year is to attend the University of East London, major in Psychology and become a Corporate or Medical Lawyer. First and foremost, I want to thank Assemblymember Cristina Garcia for finding a way to empower youth to become leaders in their own right. Without the efforts and constant nudges from Edgar, this program wouldn't be as strong and effective. I would also like to thank all the leaders in this community that I was able to cross paths with throughout my journey as a Young Legislator and the friends whom I was able to form a tight bond with and hope to keep in touch with. The YLP taught me the importance of the society and community. To be able to participate in this program, help others, show what's important for our world's safety, and to prove that we will do anything to make sure everyone feels part of the society was a pleasure. My favorite trip was to UCLA. I am going to enter my Senior year and I'm truly excited, but when I'm done with high school my goals are to attend UCLA and major in Biology, Mental Health, or either in Nursing to become a Pediatrician or a Physiologist . I would love to thank Cristina Garcia, Edgar Estrada and each member of the team for this opportunity you have given me to be a part of my community and shown me what's important and to fight what I believe should be right for me and the people around me. Thank you so much! I've learned how government works with companies that produce everyday products many of us use, eat/ drink and the overall importance and role of government in our daily lives. It never goes away! I enjoyed visiting and touring Fox Studios where all the movie magic happens! My goals for next year are to maintain perfect attendance — again. I expect myself to maintain good grades, be involved in my community and school and learn more about being independent. My choice of school is still undecided; however I'd like to major in sociology and psychology. In terms of career, I'm still undecided. That means more to explore! I have learned about the copious regulations that a company has to endure in order to please both sides, the government and their loyal fans/ supporters. I enjoyed the trip to the Coca-Cola factory the most because we had the privilege to explore the inside of the factory and have the ability to see how the beauty of a can of coke actually happens. I am also very thankful for the Fox Studios opportunity because I now know what I want to do in the future. My major has always been political science, but I never knew what I would do with that, but after our visit to Fox Studios, I come to the conclusion that I want to be have a job in the government relations committee because it intrigues me the most because I will have to work alongside famous industries and companies, helping to please both sides of the parties. I would like to thanks many people for this wonderful adventure, such as Assemblywoman Cristina Garcia and Edgar Estrada. Most of all I would like to thank my AP United States History teacher, Kimberly Vargas, for referring such a wonderful program to me. Through the program, I have learned that through drive, determination, and passion I too can make a positive impact far beyond my community. Each and every one of us can make a significant change and be the voice for the voiceless. We all have the ability to make sure each citizen is represented and heard. All the trips were experiences that I would have not gotten otherwise without this program. But the one that I enjoyed most was the trip to the capitol in Sacramento. This trip opened my eyes to the multitude of opportunities out there for my future career endeavors! Graduating Warren (with the c/o 2018) as ASB President and captain of the women's varsity basketball team, I am determined to finish my last year as an effective leader who represents the student body. My goal is to graduate as a CSF Seal Bear, Distinguished Graduate, and hopefully attend UC Berkley. I plan to major in law and minor in sociology. In the future, I wish to become a lawyer and create my own nonprofit organization. I cannot go without thanking my two parents for all they have sacrificed and done for me. I would not be where I am at today without them. They are my motivators, my rock, my role models. I also have to thank my little brother for constantly reminding me that I can achieve anything I set my mind to. Last but not least, I have to thank Ms. Cristina Garcia for allowing me to participate in this wonderful program. It has positively impacted my life. This program has taught me that legislation plays a part in everything — from the shows we watch, to our means of transportation, and to the items we recycle. I enjoyed our trip to Metro the most because we got to explore different stations. I will be a senior at Downey High School this coming year and then I plan on attending a four-year university and majoring in communications. I'd like to thank Assemblymember Cristina Garcia for offering this phenomenal program, which has given me the opportunity to explore potential careers and college options. Throughout the YL program, I've learned more about how our local, state, and federal government affects different industries and unions. I have also learned that it takes a substantial amount of time to pass a bill. The trip that I enjoyed the most was to Fox Studios because being on the set of a well-known TV show and seeing movie props from popular movies felt surreal. Next year I will be a senior and I plan to apply to UCs, Cal States, and a few private schools. I'm very interested in attending Stanford, UC Berkeley, UCLA, and John Hopkins. I would love to major in psychology or neuroscience. Being in the YL program has made more open to majoring in political science. I would like to thank the people I have met and the friends that I've made through this program and I would love to thank my extremely supportive family. 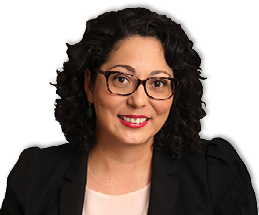 From participating in the Young Legislators Program, I have learned that the functioning of departments such as technology or entertainment rely heavily on government officials, like Assemblymember Cristina Garcia, for success and productivity. Additionally, the trip I enjoyed most was METRO because it showed me the convenience of public transportation. I will be attending Cal State Long Beach in the fall and will be majoring in aerospace engineering in order to prepare myself for a career in propulsion engineering. Moreover, over the course of the year, I would like to thank my parents, my brother Raul, my sisters Vanessa, Carina, and Erika, and my boyfriend Jonathan for continuously motivating me throughout this past year. Lastly, I'd like to thank Assemblymember Cristina Garcia for giving me the opportunity to be a part of this program and encouraging me to approach any adversity head on. The Young Legislators Program has taught me more than I could ever learn in the classroom, about how government interacts with its constituents. I learned “constituents” refers to all of the businesses and institutions within the government's jurisdiction rather than just individuals. The trips we took to the LA Metro, Coca Cola, and Fox Studios—by far my favorite—showed me that the interests of businesses are, on most occasions, in the interest of the general public and that compromises between competing interests are more important than bowing to rhetoric. This has been the guiding principle in my goal for the coming year: to be more informed about the complexities behind government actions and manifestos instead of taking information at face value. I wish to attend University of California San Diego or George Washington. I would like to thank Assembly-member Garcia for the existence of this program and my parents for taking the time to give me rides. Young Legislators Program taught me how accessible the government is, and that every person really can influence the legislation, no matter the age. The trip I enjoyed the most was our first trip at UCLA. College has been somewhat of a mystery until this year and the trip gave me a better insight on higher education on government. In the fall, I will be attending UC San Diego majoring in Computer Engineering. The past year I have gained so much experience, and I am thankful for every little factor that contributed to my growth. However I'd specifically like to thank my AP Government teacher, Ms. Nic, who had introduced me many opportunities to be involved. While in the Young Legislators Program, I learned how vital it is for a young adult to be aware and stay informed of government affairs. The government is involved in every industry to ensure that the American people are safe and have a great quality of life. Visiting UCLA was the best. It's my favorite university and I absolutely love the campus. GO BRUINS!! As an incoming senior at Warren High School, I will take an Accounting class, continue as a Link Crew leader, and run for Assistant Chair of the Downey Youth Commission. I plan to graduate as a California Scholarship Federation Seal Bearer, Bronze Bear Community Service Recipient, AVID Graduate and a Distinguished Graduate. I plan to apply to Cal State Long Beach, UC Riverside, Cal Poly Pomona and work towards a B.A. in Accounting with a minor in Business Administration. In the future, I would like to work for a Fortune 500 company in the finance department. Thank you Mom for always believing in me, constantly encouraging and supporting me, and driving me to the various events. Through the Young Legislators Program, I have learned more than I thought possible about the issues that pertain to our local communities. In addition, I also learned more about the legislative process in our state. The trip that I enjoyed the most was the Coca-Cola trip, because I was able to witness the production process of one of the world's most recognized products. My main goals for next year are to finally reach the rank of Eagle Scout and finish off my high school career. In the near future, I am looking to attend either Texas A&M or the Virginia Polytechnic Institute. I would like to major in Business Economics, Law or Computer Science. My ultimate career goal is to work for a company that goes on to create something that will benefit us in the future. For all I have achieved this past year, I would like to mainly thank my parents and my mentors and advisors for the valuable insight they gave me. The most valuable thing I learned from the Young Legislators Program is how much more integrated government is with society than I thought. I enjoyed the trip to the Metro the most. Not only was I able to witness some of the lesser known cultural aspects of LA, but it also gave me more insight into how government affects our lives. My current goal for next year is to apply to numerous colleges and find a good fit for me. I hope to study Political Science. I would like to thank my parents for my current achievements this year. They have provided me guidance and support whenever I have needed it. Whenever I was on the fence about an important decision, I would always take my parents advice and no matter what I decide, they have always supported me. The Young Legislators Program has taught me to be more social. I went into the program not having any close friends, so I had to introduce myself every meeting. It made me less afraid of communicating with others. Although the YL Program taught me many things, being communicative with others was the biggest lesson for me. I didn't enjoy the Fox Studios trip, I loved it! I am an aspiring actress and the opportunity of being in actual sets was like a dream come true. Next school year, I will be attending California State University of Long Beach. I will be majoring in Theater Arts and living off-campus. I plan to either work at Disneyland as a performer or act in a film. I would like to thank God for all he has rightfully taken and given to me. Secondly, I'd like to thank my parents for believing in me and pushing me to be the best I can be. And lastly but certainly not least, I'd like to thank my siblings: Eilen, Fito and Grace. Without them this achievement would not have been possible. And Grace for being the sunshine in my life.